Petty cash accounts are convenient when a business makes regular small purchases or needs cash available to reimburse the business expenses of staff. But petty cash still needs fully accounting for in business records. You’ll need to have a policy which states what items can be charged to petty cash, then set up a separate section in your accounting system which records the movement of cash. Keep all receipts for petty cash within that system. Have a petty cash book and balance it regularly to make sure all transactions are accounted for. Whoever authorises petty cash should not be the person in receipt of the money. Decide how much petty cash you’ll hold, and then top up from the main bank account when necessary to maintain this amount. When someone else handles your finances, you as the business owner come to trust that individual implicitly. That said, this does not mean that you should stay in the dark about any aspect of your business. To understand the operational status of your business, it’s important to review your books regularly. This will give you a clearer picture on how your business functions, where it can improve and where resources need to be allocated. While it is a good practice to review accounts at regular intervals, you should also review your accounts at unscheduled times to ensure that your books are properly maintained at all times. 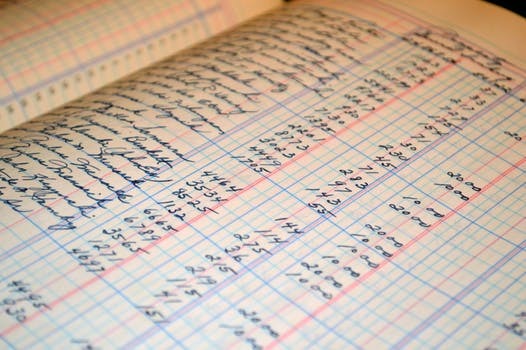 The foundation of solid business record keeping is learning to track your expenses effectively. It’s a crucial step that allows you to monitor the growth of your business, build financial statements, keep track of deductible expenses, prepare tax returns, and support what you report on your tax return. Right from the beginning, you should establish a system for organizing receipts and other important records.